Aveeno Skin Brightening Daily Scrub Review (2018): Does It Work? What Is Aveeno Skin Brightening Daily Scrub? As per the manufacturer, Aveeno Skin Brightening Daily Scrub, US $6.99 for 5.0 oz., aids in exfoliating your skin to revitalize your tired, dull skin at the end of the day. However it contains fragrance which could lead to skin irritation. Aveeno is a skincare brand that was established in 1945. Long before the current hype and demand for harnessing natural ingredients for skincare began, Aveeno was at the forefront, pioneering R&D that looked into ways by which to harness the best that nature has to offer to promote healthy and beautiful skin, especially addressing the needs of sensitive and problematic skin types including conditions like eczema and psoriasis. When Johnson & Johnson took over the brand in 1999, the brand significantly expanded its product line and beefed up its global marketing efforts at the same time. Deliver a daily deep cleanse to restore your skin’s vitality, energy and radiance. Reveal your brighter, naturally glowing complexion by ridding your skin of impurities. 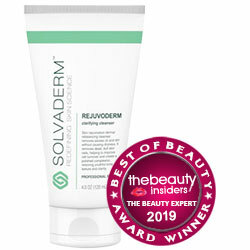 This product works by gently sloughing off impurities from your skin. At the same time, the key ingredient, ACTIVE NATURALS Soy Extract, helps in restoring balance in your skin to promote a clearer and brighter overall complexion. What Are The Ingredients In Aveeno Skin Brightening Daily Scrub? ACTIVE NATURALS Soy Extract: Promotes a more even skin tone, smoothens skin texture, relieves signs of inflammation, calms itchiness and other symptoms of irritation, and enhances your skin’s fairness and radiance. Cocamidopropyl Betaine: Improves your scrubbing experience by gently lifting and loosening up the impurities so you won’t have to rub your skin vigorously to break the debris which can damage your skin. Sodium Hyaluronate: This ingredient prevents irritation by helping to maintain the skin’s moisture barrier. 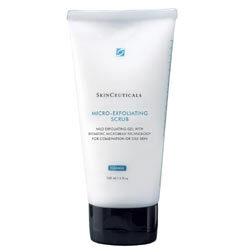 This product is hypoallergenic, and mild enough to be used to exfoliate your skin everyday. This product is oil-free and soap-free, so it will not clog your pores. This product helps improve skin tone, texture, and clarity. However it contains Sodium Hyaluronate which may lead to itching of skin. This product is a straightforward way of obtaining a daily deep cleanse but one which comes at a steeper price than most other scrubs. This product is formulated with well-known skin irritants, such as fragrance and butylene glycol, which can worsen your existing sensitive or problematic skin condition. Aveeno Skin Brightening Daily Scrub reviews reveal how some users experienced mild to severe cases of skin irritations blamed on product use. Does Aveeno Skin Brightening Daily Scrub Have Any Side Effects? Skin irritations and allergic reactions due to several ingredients, including butylene glycol and fragrance. Increased risk for cancers and organ failures due to EDTA and PEGs. Increased risk for estrogen-related disorders and endocrine system-related diseases due to parabens. Aveeno Skin Brightening Daily Scrub must be used every night or less frequently, depending on your skin’s sensitivity and tolerance for this formula. Apply product on damp skin. Massage gently then, rinse off completely. Aveeno Skin Brightening Daily Scrub will provide your skin with a good cleanse. However, it is hard to tell how this product can be exfoliating when its components look so much more like a cleansing product than an exfoliating one. Aveeno seems to have placed too much faith on its proprietary soy complex in a way that made the manufacturer ignore the inclusion of other ingredients that would have made this product function more like an exfoliant. Still, this product may work if it matches your skin needs. Otherwise, it’s always best to be open for other options.